When her heart is stolen by a seductive stranger, a young woman is swept away to a house atop a mountain of blood-red clay: a place filled with secrets that will haunt her forever. 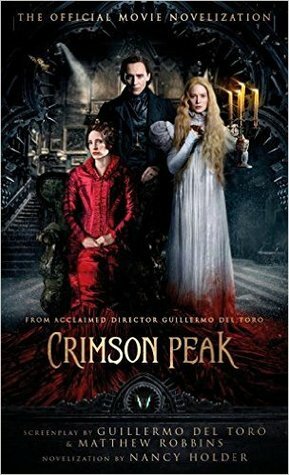 I saw Crimson Peak at the cinema a little over a week ago and LOVED it. As I knew I would. After all, when you mix TWH, del Toro, and Gothic, how could it not be a sensation? In anticipation of enjoying the film, I had already pre-ordered this novelisation. I had middling expectations, and luckily the book bettered them. I always find novels written for films a little lightweight; however, this was still a pleasant read, and one that saw me looking over my shoulder at the slightest creak as I was reading. I liked some of the additions to the story and disliked others. The main thing that stopped me giving this five stars was the voice given the ghosts/house. It just didn't work for me. Overall, though, this was a good read and should please fans of the films as well as those who haven't yet seen it.